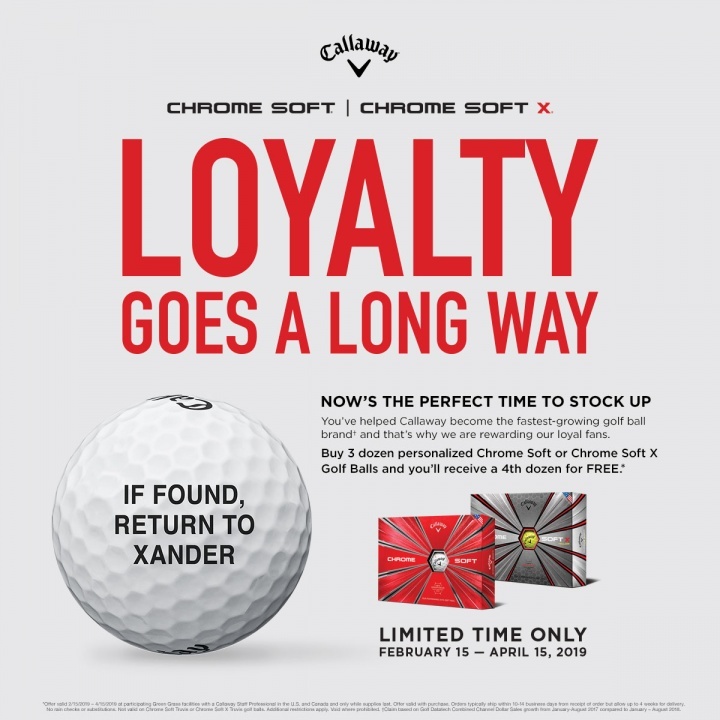 Buy 3 dozen personalized Chrome Soft Golf Balls and receive a fourth dozen FREE! $176.99 + Shipping. Save $60! • Line Rite (a Callaway Exclusive) is available in two alignment options, target or straight, with up to three initials in black, red, blue, green, orange, purple, pink, and brown block letters. • All dozens must be personalized with the same imprint and ink color. • Not Available on Truvis, Higher Player Numbers, Logo. Visit - https://www.sirocco.ca/golf-ball-promotion/ To order today. Contact - craig@sirocco.ca or shannon@sirocco.ca if you have any questions.